Product prices and availability are accurate as of 2019-04-20 11:30:42 EDT and are subject to change. Any price and availability information displayed on http://www.amazon.com/ at the time of purchase will apply to the purchase of this product. As the season of Pentecost approaches, Berdie Elliott's husband, the vicar for the Aidan Kirkwood village prepares for the Whitsun Long Weekend Regatta boat race. But one amongst them is in a van explosion that puts Berdie right in it. 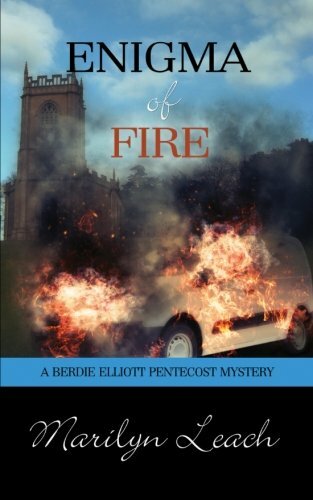 The shock of the blast sends her whirling and when the Yard arrives, fingers point to a profiled suspect that ignites village fears. 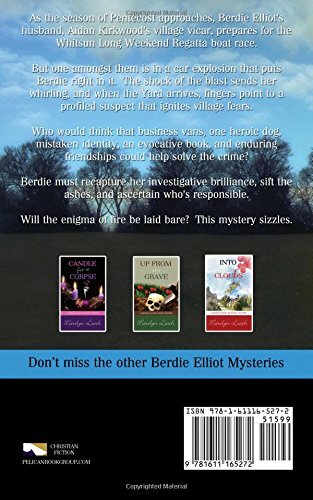 Who would think that business vans, one heroic dog, mistaken identity, an evocative book, and enduring friendships could help solve the crime? Berdie must recapture her investigative brilliance, sift the ashes, and ascertain who is responsible. Will the enigma of fire be laid bare? This mystery sizzles.